There are many different reasons for supplementing your natural supply of Hyaluronic Acid. Currently, the most popular uses of Hyaluronic acid supplements and products are to combat signs of aging such as wrinkles and as therapy for certain joint ailments. Hyaluronic acid supplements also boast the ability to combat and help with everything from sexual dysfunction to sleep problems. Hyaluronic Acid (HA) is a special mucopolysacharide that exists naturally in all living organisms. In the human body, it is found in greatest concentrations in the synovial fluid of articular joints for lubrication, the vitreous humor (fluid) of the eye, and most abundantly in the skin. As we age, the body produces lesser and lesser Hyaluronic Acid. The joints become stiff, the movement painful and the skin becomes dry and wrinkly. just beginning to notice joint problems and wrinkles. skin with proven absorption and bioavailability. • Hyaluronic acidmoisturizes the skin from the inside out. joints, especially their knees, by moisturizing their joints. 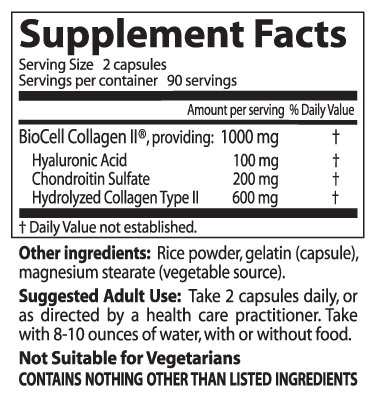 • Hyaluronic acid is for seniors who have established joint conditions. • Increased Mobility • Softer Skin • Faster Wound Healing • Fibromyalgia Relief • Retinal Lubrication • Clearer Vision • Dry Skin Relief • Dietary Benefits • Improved Sleep • Stabilized Emotions • Improved Vitality • Reduced Fine Lines • Hair Growth • Hair Color Restoration • Tissue Reconstruction • Improved Bone Density • Increased Mental Alertness • Improved Muscle Strength • Increased Sexual Potency • Strengthening of Internal Organs. *These statements have not been evaluated by the FDA. This product is not intended to diagnose, cure or prevent any disease.